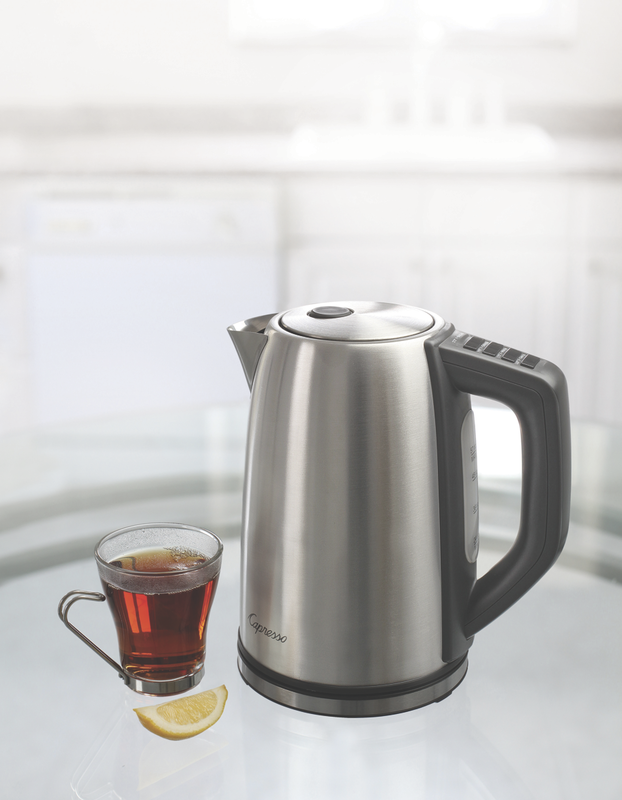 The new H2O Steel PLUS is a premium electric water kettle that enhances the tea experience with variable temperature control. It features four temperature settings to accurately brew any type of tea, plus an automatic warming function. With its stainless steel housing, this 57-ounce capacity kettle will be a focal point in any kitchen or on a table for serving. Automatic keep warm function maintains temperature for 30 minutes. Smart design will initiate heating if cold water is added, keeping water at your desired temperature. Pause-and-pour function allows you to interrupt the heating process for up to a minute to pour a cup without waiting. Heating resumes when kettle is placed back on the base. Cordless design with 360° swivel base allows for right or left handed use. Kettle lifts easily for drip-free pouring and serving. Locking lid and cool-touch handle. Removable micro filter spout enhances water purity and is easy to clean. Water level window with ounce markings for easy filling. Illuminated buttons show power on and keep warm status. The concealed low-noise heating element is highly efficient and unobtrusive. Safety features include dry boil protection and safety thermal cut-off. The Capresso H2O Steel PLUS has a price of $69.99, and is available at http://www.capresso.com.